The University of Iowa school newspaper has an article featuring one of their photographers sharing her journal entries about her experience with an unplanned pregnancy and an open adoption. My beautiful baby boy Leo was born this morning. The hospital admitted me around 6 p.m. After the epidural, it was a waiting game. I didn’t sleep. He lay down on the couch by my bed and fell asleep. Kristen and Brian got to the hospital at 2 a.m. I said I wanted to meet them right before I started pushing. I wanted to meet my son’s parents before I gave them this amazing gift. I started wondering what they were like, what it was going to be like meeting them. I thought about what it was going to be like hearing my son cry for the first time. What would it be like to not have him anymore? The moment I saw her, then him, enter my hospital room, a big smile came across my face. They both rushed over and each gave me a hug. Soon they left, and it was time to push. The first night, we all had dinner together in Kristen’s and Brian’s hospital room. They were given their own room so they could stay in the hospital with Leo. We spent all night getting to know each other. I hadn’t spoken to them directly since the interview a few months ago. I feel comfortable with them. I don’t think any of us are nervous around each other. We all get along so well, it’s like spending time with friends while taking turns holding the most precious child in the world. All of us standing around with nothing but endless love to give to our son. It’s the most beautiful thing I’ve ever been a part of. Kristen and Brian love Leo so much. Brian holds Leo every second he can; it’s precious. Right to Life of Michigan supports efforts to remove abortion coverage from health insurance plans in Michigan. The Abortion Insurance Opt-Out bill will exclude abortion as a covered benefit in plans operating under the Michigan exchange mandated by the Affordable Care Act (ACA) as well as all other health insurance plans. Purchasers who want abortion as a covered benefit in their insurance plan would have to purchase an optional rider, ensuring that prolife people are not paying for abortions through their own insurance plans. Ask your legislator to support H.B. 4065 and 4066. Abortion is not health care. Abortion intentionally ends the life of a baby preparing to be born. Former Surgeon General C. Everett Koop died yesterday. Although he was a national figure for many reasons, prolifers will best remember him for his book and film "Whatever Happened to the Human Race? ", co-authored with the late Francis Schaeffer in 1979. Those excellent resources about the value of human life are still relevant and available at Right to Life of Michigan's Educational Resource Centers for library loan. How does the prolife movement reach women in unplanned pregnancies? 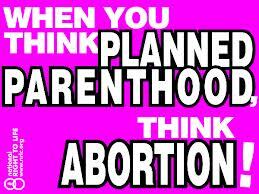 At the American Thinker, Charles Kenny and Paul Swope discuss how some factors in how women make decisions regarding unplanned pregnancies and how the prolife movement can reach these women with the prolife message. A second dynamic identified in the Kernel is that a woman chooses to keep the child when she feels that pregnancy will not destroy her current and future "self." Abortion is a fairly common choice today partly because many modern women have not incorporated the idea of motherhood into their self-image, their ideas and feelings about who they are. Pregnancy and motherhood completely shatter some women's idea of who they are and who they plan to be. In their minds, motherhood is equated with a kind of death. This insight has far-reaching consequences for the pro-life movement. Whether right or wrong in the abstract, under the panic of this life-changing crisis, abortion can seem to align itself with the deep and universal instinct of self-preservation. When this instinct is pitted against a more distant and abstract consideration of the value of the nascent life, many women choose abortion. "What is the purpose of any life?" Timothy P. Carney writes in the Washington Times about the life and death of his nephew J.P.
Daily saving the life of an immobile kid with a fatal disease raises some fundamental questions. What is the point of such a life? Which raises the prior question: What is the purpose of any life? A Colorado woman named Ayanna Byers is suing Planned Parenthood of the Rocky Mountains and alleging she was forced to undergo an abortion without anesthesia. Days after the abortion, she went to emergency room because of pain and bleeding to discover there were still parts of the child inside her. According to court documents, Byer claims she was prescribed the abortion pill Mifepristone for her eight week old fetus in October of 2012. During a follow-up appointment, it was determined Byer was farther along than originally thought, and the abortion drug would not terminate the pregnancy. At that point, Byer was "pressured" to have an immediate abortion at the Centennial Boulevard location. Byer agreed, with the understanding she would receive an IV for anesthesia. Byer claims medical personnel were not able to find a vein for the anesthesia. Despite that, Byer alleges the doctor went ahead with the procedure - despite her request to stop. According to the complaint, the doctor then told her the anesthesia would be give(n), then the doctor then turned on the vacuum machines, telling Byer it was "too late to stop" the abortion. The complaint then alleges Byer was forced to "feel the full pain" of the abortion, against her will, and "fully awake." Researchers at Wayne State University have published a study showing brain connectivity in unborn children. They hope this discovery "could lead to new ways to prevent and treat brain disorders such as autism, attention deficit hyperactivity disorder and dyslexia." Research has shown brain disorders may begin in fetal life, but there hasn't been a method for seeing and studying brain development at that stage. 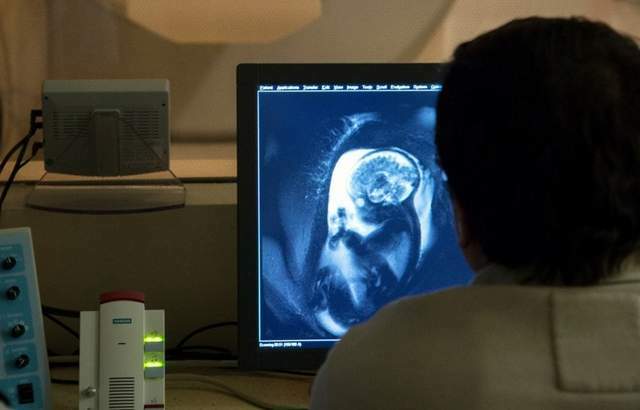 But Thomason's research showed the fetal brain can be studied while in the womb using MRI scans that do not threaten the health of the infant or mother. This can provide a mechanism for researchers to study fetal brain connections as they are forming and possibly learn how a lack of connections can result in brain disorders. "By understanding how a lack of (brain) connectivity occurs, the research community can begin to identify what things influence early brain development," Thomason said. "If we know what disrupts or impedes healthy brain development, then we have a better shot at finding a way to treat and possibly prevent it." A medical examiner has confirmed that the death of a woman who had an abortion at LeRoy Carhart's clinic in Maryland was due to a botched abortion. Carhart is one of the stars of a recent documentary that lauds doctors who perform late-term abortions in the U.S. The woman's child was 33 weeks old. Jennifer Morbelli, 29, a schoolteacher in White Plains, bled to death after amniotic fluid in her womb spilled into her bloodstream, said Bruce Goldfarb, a spokesman for the Montgomery County Medical Examiner’s Office.She was “left with the inability to clot blood to stop bleeding,” Goldfarb said. After their series of investigative reports on abortionist Robert Alexander, Target 8 investigators have been contacted by 3 additional women who were injured at Alexander's now-closed Muskegon abortion clinic. One woman recounts how she found out six months after her abortion that Alexander botched the abortion and failed to remove all of the child. She says Dr. Alexander charged $400 -- half of what others were asking. After the procedure, she said, she went to use the clinic's bathroom. "I remember seeing blood all over the restroom, including on the toilet seat," she said. "There was blood everywhere. It wasn't from me; it was there as soon as I walked in, and I just thought, I cannot sit down." Six months later, with a new boyfriend and after off-and-on hemorrhaging, she started bleeding badly. "If my boyfriend hadn't woken me up that night, I just feel like I could have bled to death in my sleep." She said an ambulance rushed her to Butterworth Hospital, where doctors gave her two blood tranfusions and an emergency D&C. Alexander, she said, hadn't removed all of the fetus. After the city of Muskegon closed down abortionist Robert Alexander's abortion clinic due to deplorable conditions in December 2012, WOOD TV Target 8 investigator Ken Kolker found a woman from Muskegon named Sheria McCloud whose physician filed a complaint against Alexander after he botched an abortion on her. In a new report from WOOD TV Target 8, an investigation reveals that a complaint against abortionist Robert Alexander was cleared by his mentor, Dr. George Shade Jr. At the time Shade was the Board of Medicine Chairman. After Alexander served two years in federal prison for illegal distribution of controlled substances, Shade vouched for him and took him under his wing and helped him regain his medical license. Shade's help allowed Alexander to regain his medical license in 1998. While Dr. Shade was on the Board of Medicine (starting in 2004) he reviewed complaints about Alexander and failed to authorize investigations and dismissed the complaints, including the one filed by the doctor who treated Sheria McCloud. "He shouldn't have been investigating my case if he was his (Alexander's) mentor," said Sheria McCloud of Muskegon, the patient in the complaint against Alexander. "It should have been somebody else investigating. Why would you investigate my case and you are his mentor?" Dr. Michael Engel, the former Muskegon OB-GYN who filed the original complaint alleging botched abortions, said he was shocked to learn about the connection between Alexander and Shade. Both Engel and McCloud said no one from the state contacted them about the complaint, which he filed in June 2009. "It's a travesty," Engel said in a telephone interview. "The government protects him. That's terrible. This guy knew him, talked to him." In March of 2012, Right to Life of Michigan released a report on abortion clinic abuses in Michigan. The report noted the relationship between Shade and Alexander and how Shade frivolously dismissed serious complaints against Alexander. WOOD TV also attempted to find Alexander and see if he was still doing abortions in Detroit or if he could be reached anywhere else. Researchers at McGill University's Department of Obstetrics and Gynecology reviewed the records of nearly 18,000 women who gave birth from 2001-2006. They found that women who reported having a previous abortion were more likely to have given birth prematurely. Our study showed a significant increase in the risk of preterm delivery in women with a history of previous induced abortion. This association was stronger with decreasing gestational age. The Women's Center of Michigan on 8 Mile in Detroit is one of a chain abortion clinics owned by abortionist Jacob Kalo. The Detroit Free Press has a story regarding the relationship between the people who attempt to persuade women to choose life at this clinic and the clinic staff. While the author uses language which displays his bias in favor of legal abortion, the story still notes the kindness the sidewalk counselors and abortion protesters have shown to individuals who work at the clinic. Years back, one of those young men jumped the doctor to get his wallet, and the protesters intervened to pull off his attacker and send him running away. "There's kind of a good coexistence between us," Kalo said. "They're very polite and friendly." The doctor visits his elderly parents in Israel every few months, a routine the protesters know, and once when there was yet another military conflict in the region, they told him they worried for his safety. After all those years separated by just a few feet of space but miles in their beliefs, both grew to see the other not as the embodiment of a cause they disagree with, but instead as someone trying to make a statement or trying to make a living. Familiarity wound up breeding not contempt, but kindness. "I wish they weren't out there," Amanda said. "But I couldn't ask for a nicer group of people." Forty years of legalized abortion is 40 years too long. Be a voice to our elected officials in support of prolife legislation. Roe v. Wade and Doe v. Bolton, the two U.S. Supreme Court decisions which legalized abortion through all nine months of pregnancy, has led to the taking of more than 55 million human lives. Abortion has negatively impacted our families, and most importantly has taken innocent human life. ACTION NEEDED: Please circulate this petition and be a voice for the most vulnerable members of our human family, babies preparing to be born. The petitions will be used by Right to Life of Michigan to communicate to our elected officials your desire to protect innocent human life. Having a prolife petition at educational booths, churches, offices etc... is a great way to discus the need for prolife legislation. Michigan abortions are down by more than half in part because of prolife legislation which requires parental consent for girls under the age of 18 and informed consent so that mothers are provided accurate information regarding fetal development and abortion complications. After Michigan ended tax-funded abortions in 1988, the number of abortions dropped by more than 10,000 annually. This is an ongoing project with no set deadline. Please use this outreach to connect with others about how legislation can save lives! News Channel 15 in Indiana has the inspirational story of Nik Hoot, a high school wrestler. When Nik was born in Russia he was missing parts of both legs after surviving an abortion. He was adopted by Marvin and Apryl Hoot when he was 1 and has been amazing his family ever since. Starting in May, the Michigan Senate will no longer cover abortion in its health care coverage. Talk of changing Senate medical coverage began earlier this year, according to Democrats, when Sen. Rick Jones, R-Grand Ledge, pointed out that the state House plan has not included abortion coverage since 1995. Republican Senate Majority Leader Randy Richardville said he reviewed the plan and ultimately decided to make a change for the sake of consistency. "We took a look at what the rest of the legislature did and what we did, as far as the floor goes and the Blue Cross Blue Shield stuff, and we said everything should be the same," Richardville said today. "There should be parity. And it was a relatively easy decision if you just wanted to be fair with people across the board." The change, which applies only to Michigan Senate medical plans, is effective May 1. The Detroit News has a story on a Michigan child who will shortly be treated with umbilical cord stem cells which were taken from his own umbilical cord after birth and stored. Andrew Kijek, 11, cannot crawl, walk, talk, hold his head upright or control his muscles. He was diagnosed with spastic cerebral palsy a year after suffering oxygen deprivation during a difficult birth. "He's already perfect," said Maureen Kijek of Shelby Township, gently cradling her son's head after a recent physical therapy session. "We just want him to be happy." The first Michigan participant in the trial was Allison Thurman, 3, of St. Clair Shores. Allison, who was clinically diagnosed with spastic cerebral palsy in 2010, completed the trial treatments a year ago. Since then, her mother, Erica Thurman, said she has noticed improvement in her daughter's speech and ability to use her legs. Check out our latest Real Life Story, on Adeline Raymond and her family. Her doctors suggested she should be terminated because she was diagnosed with several birth defects in the womb. Her parents made the wise choice of letting her live! Adeline Raymond defied the odds. She was given a one-in-ten chance of surviving her birth, not by her doctors, but by statistics. If it were up to some of her doctors, Adeline wouldn't have made it. Her parents Andy and Ida said they were told by doctors to abort her. Andy and Ida said the manner in which the doctors delivered the news left them terrified. Ida said she felt more like a number in line than a parent finding out her child might have several serious conditions. The couple said they don't know why all of the horrible things that were predicted never came to pass. 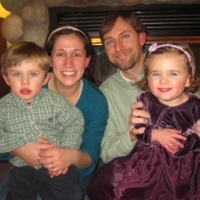 Andy guessed that the scan was done so early in the pregnancy that it was perhaps too early for the doctors in Ann Arbor to reach a definitive diagnosis. Ida wondered if after receiving so much prayer and support from their families and the community that it was divine intervention. "Maybe God said 'I'll take care of it,'" Ida said. Whatever the reason, Andy said the experience confirmed their prolife beliefs. They wrote a letter to their doctors in Ann Arbor with Adeline's story, hoping that the doctors take a life-affirming approach with other couples in the future. They said they hate to imagine how people without strong support or prolife convictions react when confronted with a troubling prenatal diagnosis. For Andy and Ida, it all came down to the love they had for their daughter. U.S. Representative Bill Huizenga has introduced the Homeland Security Respect for Life Act. The goal of the legislation is prevent tax dollars allocated to the Department of Homeland Security from being used to pay for or facilitate abortions. "Basically we're saying if someone were to be detained, and were pregnant while being detained, asked for an abortion, we're asking that taxpayers dollars not be used to fund an abortion," Patrick said. "The loophole currently allows for that, and we're acting to close the loophole." In 2012, the Obama administration issued regulations related to the health care reform law which force religious employers to violate their consciences or face staggering fines. The regulations, known as the HHS Mandate, require employers to provide insurance coverage for contraceptives, sterilization and drugs which might end the lives of unborn children. The only employers who don’t have to comply with the HHS Mandate are houses of worship. Throughout 2012, various employers, including Christian colleges, Catholic hospitals and numerous business owners filed lawsuit after lawsuit against the HHS Mandate because it violates their First Amendment rights. There are now more than 40 organizations and businesses suing the government over the HHS Mandate. In response to these suits over a right as basic as religious freedom, the Obama administration has proposed what they call an accommodation or revision to the rules. This “accommodation” was released on February 1, 2013, and was roundly criticized by prolife groups while being praised by pro-abortion organizations, including Planned Parenthood, America’s leading abortion provider. Our nation was founded on the idea that individuals have certain basic rights and these rights don’t come from the government. The government’s role is to protect these rights. Unfortunately, some in our government have instead pursued an agenda which insists upon violating these rights. Learn more about efforts to defend basic human rights at Right to Life of Michigan’s web site, www.rtl.org. Make plans to attend Legislative Day 2013 on April 23! Learn about prolife bills, discuss them over lunch with your legislators and listen to our special guest speaker Pastor Christopher Brooks, an adoptive father and host of Equipped for Life on WLQV-1500 in Detroit. A 29-year-old woman is dead after undergoing a late-term abortion in Maryland. The abortion was performed by abortion LeRoy Carhart. Carhart and his late-term abortion business are part of a new documentary film featured at the Sundance Film Festival. So far, very few media outlets have covered this tragic incident. On Thursday morning, they allege, she experienced shortness of breath and intense pain and went to the Shady Grove emergency room, where she died a short time later. Michael Martelli, the executive director of the Maryland Coalition for Life, called on the Maryland Department of Health and Mental Hygiene to close the clinic until it can investigate the matter. He also called on the Maryland Board of Physicians to suspend or revoke Carhart's medical license, pending a similar investigation. CNN's iReport is asking for women who have experienced an abortion to share their stories. Submissions are due by February 15. For the third year in a row, Right to Life of Michigan Educational Fund is sponsoring a Life Speaker Series during Black History Month in February. The speakers will educate about the issue of abortion in the black community. Abortion disproportionately affects the black community. While blacks make up only 14 percent of the Michigan population, 47 percent of abortions were performed on black women in 2011. The first event was held on February 6 in Detroit at Oasis of Hope Christian Church. The series will include five more events throughout February, each featuring a different speaker and church. All of the events are free of charge and open to all. They will feature opportunities to drop off unopened packages of diapers and baby wipes to be donated to local pregnancy resource centers. During the 2012 series people donated 14,561 diapers and 20,193 baby wipes. Right to Life of Michigan, the state's largest prolife organization, rejected the notion of advancing any legislation that would require a woman pursuing an abortion to first receive a transvaginal ultrasound. Right to Life of Michigan Legislative Director Ed Rivet said, "Some statements and media accounts have inaccurately represented that Michigan House Bill 4187 would require a transvaginal ultrasound prior to an abortion. Rep. Joel Johnson and Right to Life of Michigan never viewed that as the intent of the bill. Right to Life of Michigan has not and would not endorse such a policy." The legislation in question was first introduced more than four years ago and was designed to address deceptive practices by some abortion providers who were purposely using outdated technology to be sure women saw grainy, nondescript images of their unborn children for informed consent purposes. The abortionist would then use a much newer abdominal ultrasound machine to perform the abortion. The Michigan legislation far predates the debate that arose around legislation in Virginia in 2012 and has nothing to do with a transvaginal ultrasound requirement. Right to Life of Michigan finds it regrettable that Rep. Johnson's intention to be sure women receive accurate information is being deliberately misused to serve an agenda of misinformation. According to the Michigan Department of Community Health, ultrasounds are used in 86.6 percent of Michigan's abortions to confirm pregnancy. Right to Life of Michigan President Barbara Listing said, "We will continue in our efforts to advocate for and advance policies that serve the best interests of the public including women and children preparing to be born." Numerous pregnancy centers in Michigan offer free ultrasounds for women considering abortion. If a woman would like to see a picture of her developing baby and hear his or her heartbeat, options are available. A listing is available through Right to Life of Michigan, www.RTL.org. Americans United for Life have posted a full length video of their legal symposium entitled "The Future of Roe: Women, Health and Law in the Obama Era. They have also posted the videos of individual speakers. Speakers include Chairmaine Yoest, Dr. Donna Harrison, Gerard Bradley, Clarke Forsythe, Bill Kristol and many others. The Detroit News recently covered two pieces of prolife legislation that have been introduced in the 2013-2014 legislative session. The other proposal, House Bill 4187, would require the most-sophisticated ultrasound equipment available at an abortion center be used to provide clear fetal images to be given to patients at least two hours before the procedure. On Tuesday night, President Barack Obama delivered a video message to the attendees at NARAL's annual dinner. NARAL is a leading pro-abortion organization which supports abortion on demand and tax-funded abortions. In his remarks, President Obama celebrated Roe v. Wade, the U.S. Supreme Court decision which legalized abortion through all nine months of pregnancy, noted NARAL's outgoing leader is "a friend and counselor," thanked NARAL for their "tireless advocacy" and claimed he "couldn't be prouder of the work each of you is doing to make this world a fairer and more just place for all Americans." "All Americans" apparently doesn't include unborn Americans. Right to Life of Michigan affiliates from across the state will be hosting local oratory contests in February, March or April as part of the Right to Life of Michigan 24th Annual High School Oratory Contest. Contestants deliver 5-7 minute speeches on one of several prolife issues. Winners of the local contests will go on to the state contest in Lansing on May 18. The state winner will compete nationally for the National Right to Life Oratory Contest on June 29 in Dallas, Texas. Enter for a chance to win prizes and become a more confident defender of human life. At the end of January, abortionist Alberto Hodari let his medical license expire. Hodari is probably the most notorious abortionist and abortion clinic owner in Michigan. He has had numerous run-ins with state authorities, was caught improperly disposing of medical records, has faced frequent lawsuits and has killed at least 3 patients. During a presentation to a pro-abortion student group, Hodari claimed doctors have a license to lie to their patients. Michigan becomes a much safer place now that Alberto Hodari will no longer be endangering women and killing unborn children. Throughout the years of abortion debates, abortion advocates have often claimed that abortion helps alleviate the problem of overpopulation. While killing human beings because you believe the world is overpopulated is wrong regardless of whether the world is overpopulated or not, more and more people are beginning to recognize the world will soon be dealing problems caused by decreased fertility. In a Wall Street Journal column, Jonathan Last describes the problems with a fertility rate which falls below replacement levels. The nation's falling fertility rate underlies many of our most difficult problems. Once a country's fertility rate falls consistently below replacement, its age profile begins to shift. You get more old people than young people. And eventually, as the bloated cohort of old people dies off, population begins to contract. This dual problem—a population that is disproportionately old and shrinking overall—has enormous economic, political and cultural consequences. The text of National Right to Life's response to the Obama administration revisions to the HHS mandate. In proposed revisions to the preventive services mandate issued today, the Obama Administration once again employs changes in packaging in an attempt to conceal continuity in substance. This latest revision continues to compel countless employers to purchase health plans that will pay for drugs and procedures to which they are opposed on moral and religious grounds. For a nonprofit organization that “holds itself out as a religious organization,” the Administration claims that it is relieving the employer of the moral conflict by obligating the insurer to pay for the objected-to drugs and services. This is a subterfuge, since the employees would not be getting the objected-to services if the religious employer was not paying for the health plan. Moreover, the Administration once again puts forward the rationale that “issuers generally would find that providing such contraceptive coverage is cost neutral because they would be insuring the same set of individuals under both policies and would experience lower costs from improvements in women’s health and fewer childbirths.” This justification — which essentially argues that contraceptive coverage really costs nothing — could later be employed by the Administration to attempt to mandate coverage of surgical abortions in at least some health plans, on similar grounds that each abortion prevents the higher costs of prenatal care and childbirth. The proposed revision also continues to apply the mandate to for-profit businesses run by people of faith, without even the cosmetic changes discussed above, and provides no options for individuals seeking plans that accommodate their values on the exchanges. National Right to Life applauds the ongoing work of Alliance Defending Freedom and others in challenging the Obama Administration’s infringements on the free exercise of religion in the courts. National Right to Life will continue to work with like-minded members of Congress to seek legislative remedies, as well. Do you know Roe v. Wade? A recent Pew Forum poll found that a large percentage of people in our country have absolutely no clue what Roe v. Wade was about. Roe v. Wade is the U.S. Supreme Court decision which overturned all 50 state laws on abortion in 1973 and legalized abortion through all nine months of pregnancy. 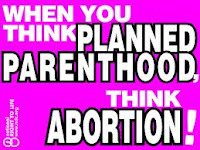 Unfortunately, many people in our country don't even know the decision has to do with abortion. The Pew Forum poll found that when asked which issue Roe v. Wade dealt with and then given a list of 4 options, only 62% of respondents could correctly identify that Roe v. Wade dealt with abortion. 20% of respondents said that didn't know and 17% gave one of the incorrect answers (school desegregation, death penalty, and environmental protection). For individuals aged 18-29, only 44% responded correctly, while 24% said they didn't know and 33% answered incorrectly. Unfortunately, the Pew Forum survey didn't help things as they incorrectly described the consequences of Roe v. Wade by claiming the decision only allowed abortions in the first three months of pregnancy. The public is clearly uninformed and misinformed regarding Roe v. Wade. Please take the time to review this LifeNotes on U.S. Supreme Court cases dealing with abortion and share with friends and family to help educate our country about Roe v. Wade.